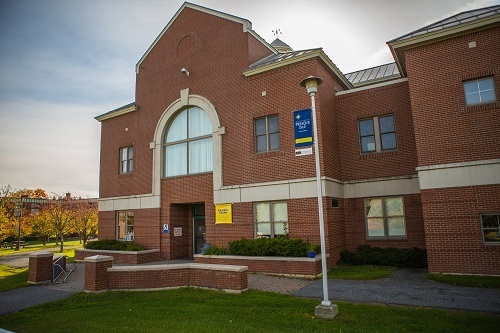 The University of Maine at Presque Isle will mark 25 years of its Campus Center serving as a hub for student activities, community events, and cultural programs when it hosts a special celebration on Friday, Oct. 6 at 4 p.m. in the MPR. All university and community members are encouraged to attend this free event. The Campus Center 25th Anniversary open house will include music, complimentary refreshments by Sodexo, and the opening of a long-sealed up time capsule. The celebration takes place during UMPI’s Homecoming 2017: Friends & Family Weekend, which is also open to the community. UMPI invites the public to attend Homecoming events being held all throughout the weekend, including Oktoberfest & Pints with Professors, happening directly after the Campus Center’s 25th Anniversary event. A special highlight of the Campus Center anniversary event will be the unveiling of a time capsule that was hidden away 25 years ago, when the building first opened. The contents of the time capsule will be revealed to the public and then new items from 2017 will be added to the time capsule before it is sealed up for another quarter century. 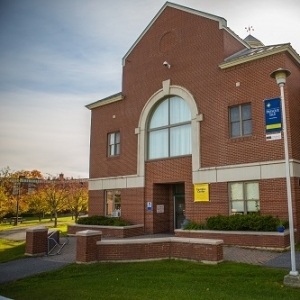 The Campus Center, which opened its doors in October 1992, was originally conceived as a student center with a variety of spaces to host many different types of activities, from meetings and workshops to banquets and other social gatherings. Over the years, thousands of people have utilized the facility; it has become a central location for student events, cultural activities, and state and regional meetings and conferences, and it is also home to the Alumni Room, Student Activities and Student Senate offices, a University Credit Union branch, and the Owl’s Nest, which includes a Starbucks counter. The Campus Center was built with funding from three main sources: through donations from community members and businesses, through a bond issue, and through a yearly student fee. It was connected seamlessly to the existing campus building Kelley Commons, which was built in 1967 and dedicated to the first matron of the school, Miss Mary E. Kelley. Kelley Commons houses the UMPI Campus Store, the Campus Communications Center, and the MMG Center for Professional Development on the first floor, and the large dining hall located on the second floor, which can seat up to 300 people at a time. The Campus Center has two defining features aside from its graceful lines and arches – it is capped by a white cupola and it showcases a significant work of art at one of its main entrances. To the north of the building stand six white walls – a work of art created in 1992 by Portland artist Robert Hoover and funded by the state’s Percent for Art Program. Through the program, one percent of the cost of any public building in Maine is set aside for a work of art to be installed in or around the building. Hoover’s hope was that people would discover and enjoy the work in their own way and that the art would serve as a spot for students to meet, work, and study. For more information, please contact Lydia Kieffer-Till at 207-768-9502 or lydia.kieffer@maine.edu, and to RSVP, please visit www.umpi.edu/homecoming-reg.